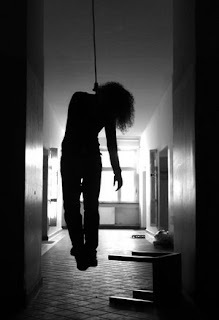 Yimiton's Blog: A Woman and a Man too Commit suicide in Lagos. RESIDENTS of Olodi Apapa, a suburb of Lagos, were thrown into mourning when a woman allegedly committed suicide in the area. The woman, identified simply as Charity, was said to have killed herself in her apartment on Emordi Street, Olodi Apapa. A man living in the area who identified himself as Samson, said the 36 -year- old woman was found hanging from the ceiling in her apartment. Some residents said they were shocked and confused by the action of the young lady. 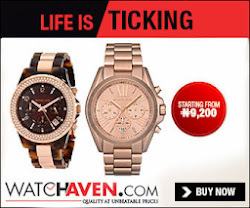 One of them, Mama Chijioke, said the woman did not show any sign of frustration or desperation that could warrant killing herself. She insisted that as a Christian, she should have relied on God to solve life issues for her rather than take her own life. Another lady, Adejumoke Oni, said Charity’s death had brought great grief in the hearts of people who knew her. Lagos State Police spokesman, Mr. Joseph Jaiyeoba, a Superintendent of Police (SP) said the police from Trinity Division visited the scene and removed the body to a public mortuary. In a similar development, a man identified as Aliu had allegedly also committed suicide in Lagos, two days earlier. The 45-year-old man was said to have hanged himself in a nursery and primary school in the Ejigbo area of Lagos. The man, who was said to be an artist attached to the school, allegedly, hung himself from the roof of one of the classrooms. Jaiyeoba also confirmed the story, adding that the body was removed to a public mortuary for autopsy.